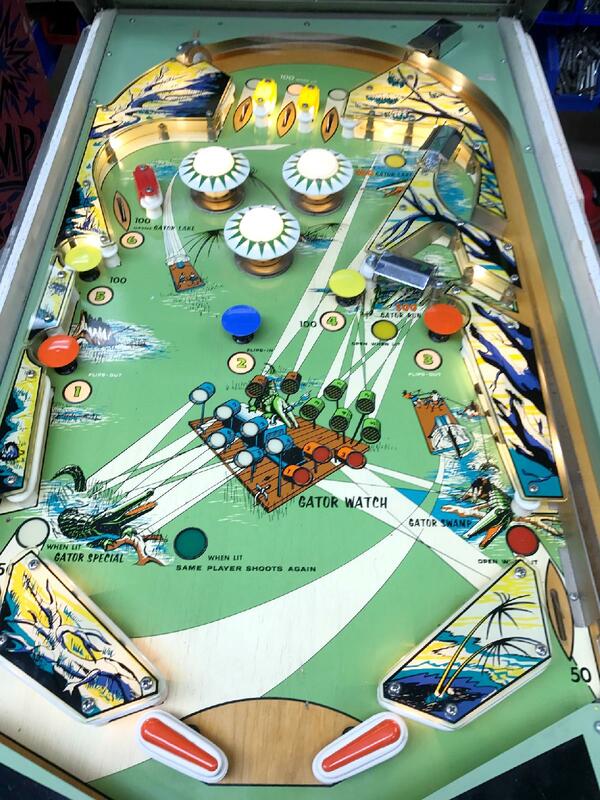 The 1969 Bally Gator is another of the fabled Bally Zipper-Flipper games. This is a really cool feature where the flippers move in to close the gap between them, so the ball can't dr ain between the flippers. Bally made 18 zipper flipper games (not counting German variants) from 1966 to 1973. Production of 2120 Bally Gator machines. 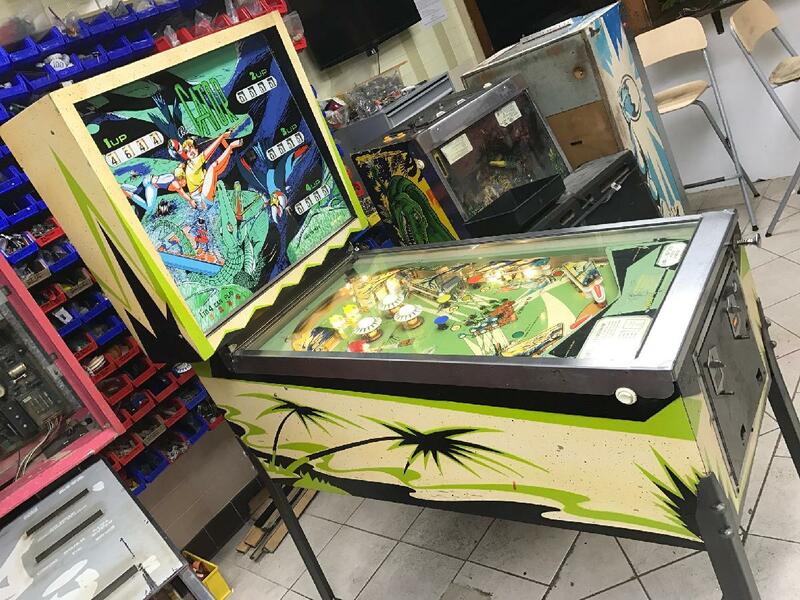 Bally design by Ted Zale, it is also the same playfield as used in Bally Campus Queen and Bally Sheba (except Gator has zipper flippers).